and Sciences, and the Office of the Provost. For more than two decades now, scholars have been theorizing about and documenting the rise of contemporary surveillance infrastructures. Because of this research, we now know that the widespread, systematic observation of the populace and the collection of personal information has become a central strategy in security, governance, and commerce. 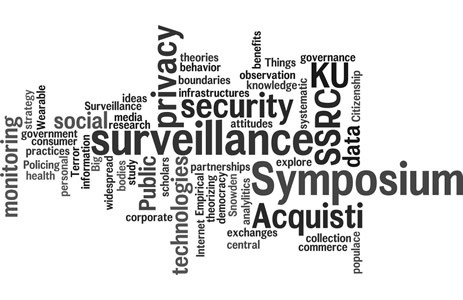 The purpose of the symposium is to push the boundaries of our current knowledge and explore new ways of thinking about and studying surveillance, privacy, and social monitoring. Our goal is to bring together scholars from diverse disciplinary backgrounds to exchange ideas and propose new partnerships and projects related to social monitoring. We envision this symposium as a place to share both finished work and work in progress with other scholars and an engaged audience. 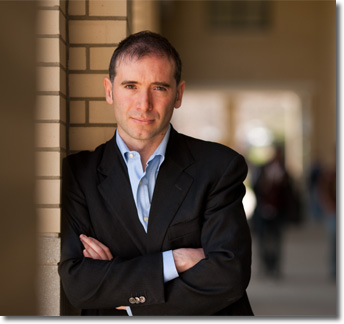 The meeting will begin with welcoming remarks and a keynote address by Dr. Alessandro Acquisti on Thursday, October 1st at 7:30pm. The symposium sessions will run from 9:00am to 4:00pm on October 2nd. Participant presentations will each be approximately 15 minutes in length with an additional 10 minutes for Q&A. Following the final workshop session, a reception and dinner for all symposium participants will be held at 6:00pm on October 2nd. Participation in the symposium is free including lunch, coffee breaks and snacks, and the workshop reception and dinner. Contributors must finance their own transportation and accommodations. Graduate student participants may request a subsidy for these costs. Professor of Information Technology and Public Policy at Carnegie Mellon University and Andrew Carnegie Fellow awardee. Copyright (c) 2013 The University of Kansas. All rights reserved. | Design by FreeCSSTemplates.org.